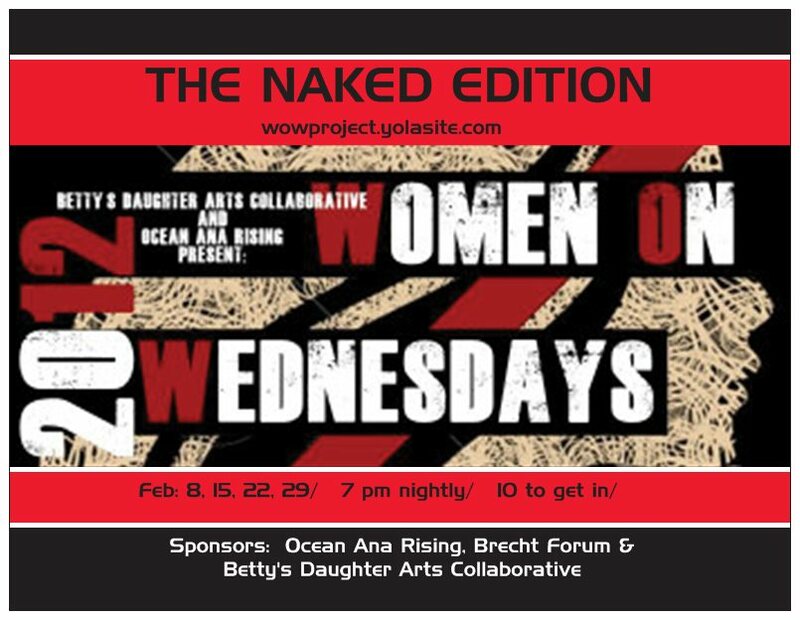 Women on Wednesday Arts and Culture Project honors the incomparable Dr. Nina Simone as the ancestral mother for WoW2012: The Naked Edition. WoWs organizers honor Nina Simone because of her unabashed boldness and fearless dedication to truth-telling, liberation and creative excellence. Join us in celebrating the brilliance of Nina Simone this month and every month. 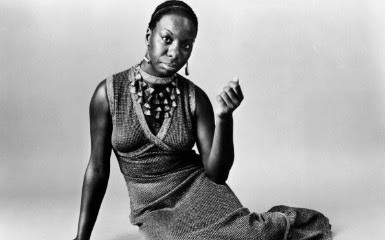 Nina Simone was born Eunice Kathleen Waymon in Tryon, North Carolina February 21, 1933 and transitioned April 21, 2003. Her life, legacy, music, fashion and pursuit of liberation serve as guide for how black girls, women and the rest of the world can live their NAKED TRUTHS. I was first introduced to Nina Simone in college. Every summer I taught dance and worked as a choreographer for the Young Performers Program at the Ensemble Theatre in Houston, TX. My first summer, I choreographed Lorraine Hansberry’s play “To Be Young Gifted and Black.” While researching the piece, I found Simone and remember listening to the song a few hundred times. I remember thinking that she didn’t necessarily have a melodic voice, but instead a committed voice. A voice that made to sit up and pay attention. A voice that demanded every listener recognize the wealth that is the black youth, black talent and just blackness overall. From then, I was hooked. Using her work in my scholarly, artistic and amorous adventures. Years later, I remember playing a game of chest with a lover, who didn’t dig her sound. Her voiced opened me to a greater capacity of strategic maneuvering. I remember my lover asking about her, where she came from, why did I like her. I remember being bothered by his lack of love and admiration for Simone. In the months following that game of chest, I continued to play Simone’s music. Eventually, he learned to love her, and couldn’t remember the time when he didn’t appreciate her voice. In a time where the cult of black respectability forced women and men to bend to white culture and standards, she was a member of a crew politically active, cultural warriors who visioned and worked for a world where creative innovation and liberation conspired to blaze a trail of possibility, beauty and freedom for communities, artists organizers and educators the world-over. Simone’s iconic sound, political action and musical innovation resisted tradition, form and boundaries. Songs like “Mississippi Goddam” and “Four Women” season the soundtrack of liberation movements for global human rights. Always the conjure woman; Simone was able to move the crowd with the greatest of ease, radicalize a soul with a moan or a hollar, change the temperature of a room with a stoke of the piano and delve into the heart of all that is beautiful and troubling about the world with her soothing or harsh tones. She was one bad mama-jama. This contemporary moment finds Nina Simone just as relevant. Simone serves as the muse for many Hip-hop artists, theatre-makers, dancers, choreographers and visual artists around the globe. Several of the Women on Wednesday Art and Culture Project participants are currently or have in the past created work that honors her life and legacy. I wrote the poem below a few years ago. It is included in a poetry collection I am building and obsessed with called “again, the watercarriers.” The collection, includes a section dedicated to the diverse manifestations of the conjure woman archetype. That section includes a suite of poems dedicated to the one and only Nina Simone. Hailing from Houston, TX, Ebony Noelle Golden is a cultural worker, artist and creative director of Betty’s Daughter Arts Collaborative, LLC and artistic director of Body Ecology Performance Ensemble. Ebony's current bodies of work include: "RingShout for Reproductive Justice" and "again, the watercarriers." She also writes about jazz, culture and liberation for Okayplayer’s The Revivalist Magazine. www.bettysdaughterarts.com. Mission: WoW is dedicated to celebrating the creativity, empowerment, holistic health, and civic engagement of black girls and women. To find out more about Women on Wednesday Art and Culture Project visit our Facebook Group or wowproject.yolasite.com.